As 2016 winds down there are still several books I'd like to talk about, but precious little time for blogging. Here are the novels I read in December... each dropping a rung on the ladder of "fine literature", but all enjoyable reads. I've been reading Ann Patchett since the 1990s and over the years she has become one of my favorite authors. Her latest novel, Commonwealth, is a masterfully crafted work. 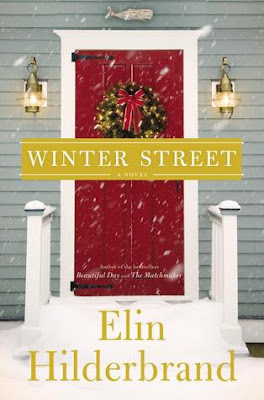 The writing is fabulous, her many characters are well-defined and unique, and the story about a blended family kept me happily turning the pages. I paused several times to reflect on various quotes or passages. Overall, a very satisfying read and a 2016 favorite. A single mother inherits a beautiful beach house in Sag Harbor, but there is a catch—she must take care of the elderly woman, recently diagnosed with Alzheimer’s, who lives in it. I love a quick, entertaining read, especially one that provides a little fodder for discussion, and Inheriting Edith was all of that. A perfect travel day read, it made our two flights and long layover pass quickly. I didn't note any quotes or passages, but thoroughly enjoyed the story and have already recommended the book to several friends. Something light and wintery sounds perfect right about now... but then again, so do the first two! Audrey - I ended up reading the second book in the Winter series, Winter Stroll, yesterday... now I've got a hold on the third! I'm looking forward to Inheriting Edith. I'm not finding much time for reading or blogging these days. Kathy - I know that feeling! Think you'll enjoy Inheriting Edith when you get to it. Care - Yup, so good!! 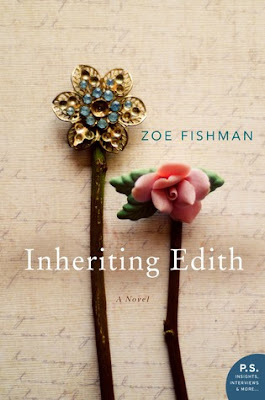 I love the cover of Inheriting Edith. I can imagine that would be a good book for discussion. Hope you are enjoying the holiday season! Iliana - The cover first attracted me, too! Glad there was also some substance. All three sound wonderful. Thanks for sharing your thoughts about them. Pat - They're very different, but I enjoyed them all. I am still on the incredibly long library list for Commonwealth. I love stories set in cozy inns and beach houses - maybe the lines will be shorter for those two books! Lisa - I left my copy of Commonwealth in FL, but I'd be happy to mail it to you when we get back there! You read the best books. I always add your choices to my wish list. I'm so glad you enjoyed Commonwealth. It's one of my favorites for 2016. I've had Inheriting Edith in my TBR pile for a long time. It was great to finally read what someone I trust thought of it. Thanks! Susie - Thank you. Inheriting Edith was perfect reading for my travel day - absorbing, but not too fluffy. 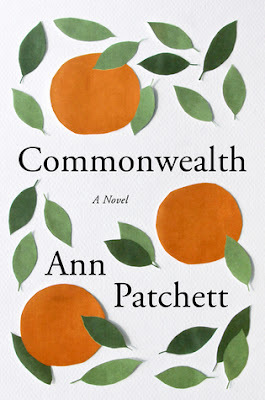 Yay for Commonwealth - after I read it, I read This is the Story of a Happy Marriage, her nonfiction essay collection and it sounds like her own childhood could have inspired Commonwealth. Sarah - I read that this was her most autobiographical fiction... she got her siblings (and mother's I think) blessing before she published it. I look forward to reading Commonwealth soon. It will be my first Ann Patchett novel. What other book of hers would you recommend? Toady - I've enjoyed all of Ann Patchett's book, fiction and nonfiction. She seems to get better and better. Besides Commonwealth, I especially liked State of Wonder and The Magician's Assistant. Her essays, This is the Story of a Happy Marriage, is excellent on audio since she reads them herself. Thank you for the recommendations. I have marked these to try. I think Commonwealth would have to be at the top of my fiction list for 2016. Never did get to Belgravia; other books kept popping up to take my attention elsewhere. JudyMac - I think Ann Patchett just keeps getting better and better! You're not missing any great literature with Belgravia, but the story was a good one and the narration was outstanding. We'll begin our journey south at the end of the week... it's getting too cold and snowy for us up here! Happy New Year!